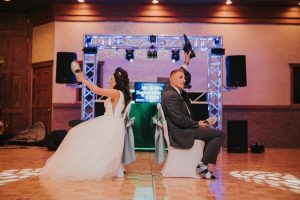 Are you wondering how to make sure your guests have a blast at your reception? One of the first places to start is with the entertainment–DJ, live music, or maybe even both. 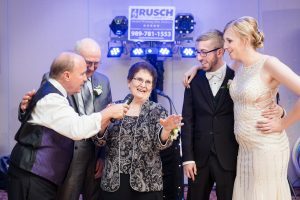 Rusch Entertainment is one of the most reputable DJ companies in Michigan and we are so excited for the chance to get some advice from them! 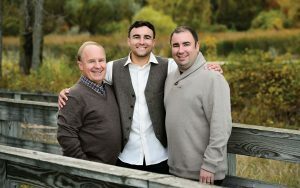 Dean Rusch started Rusch Entertainment in 1971, and now he and his two sons, Corey and Casey, run the business. Today, we bring you some awesome tips on wedding entertainment from Corey & Casey! When it comes to booking vendors, the sooner the better. Corey explains that this is especially true for entertainment vendors, like DJ’s, as many of these industry professionals can only do one event a night–it becomes a game of first come, first serve. Reserve these vendors as soon as you find the ones you like and don’t forget to pay the deposit to lock in their services! Your guests are going to be where the couple is. 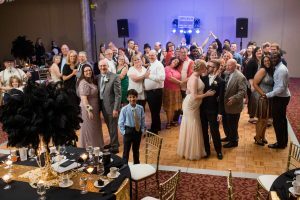 If you’re on the dance floor, your guests will be too. Don’t micromanage the timeline. Things happen, and we will stick as close to the timeline as possible. If there are older guests, try not to sit them right in front of the speakers. 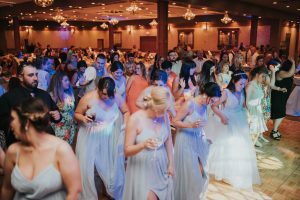 The DJ needs to be easily visible and near the dance floor so they can get a feel for the crowd. 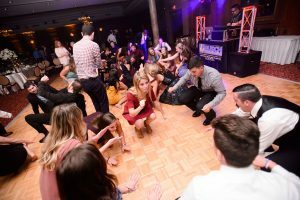 If you have dance floor lighting, keep in mind that darker is better. Use dimmers for chandeliers, café lighting, etc. 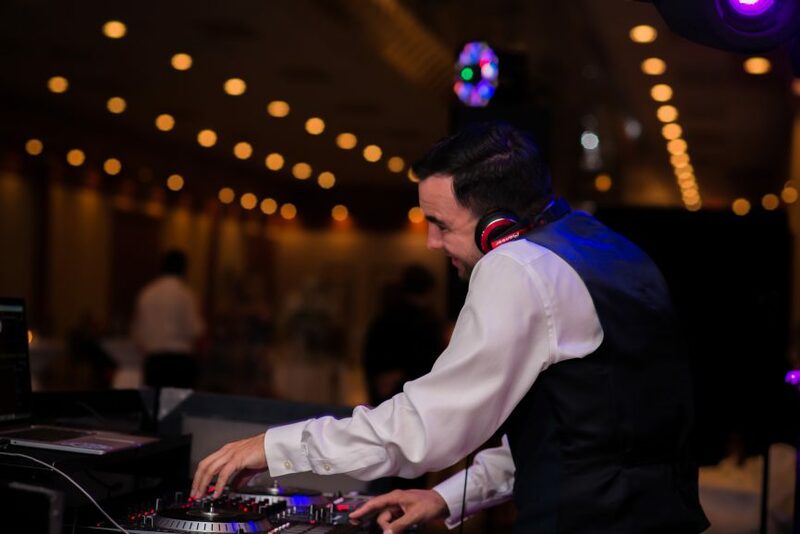 When picking songs for your reception, take into account not only your taste, but the guests’ as well. When picking your music, don’t overdo it. Pick 10-20 you like and a few you don’t, and let us fill in from there. If you have to cut corners on your budget, don’t skimp on your entertainment – it can make or break your event!